One of France's richest men has been detained by police. 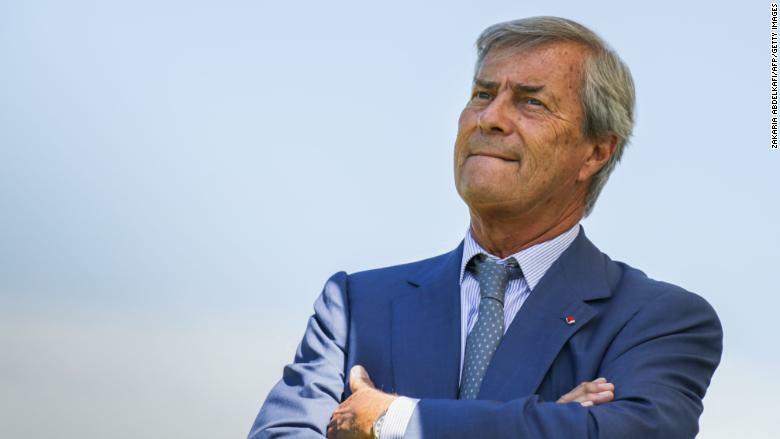 Vincent Bolloré, the chairman of a sprawling conglomerate with interests in media, logistics and energy storage, was taken into police custody on Tuesday as his company said it was facing an anti-corruption investigation. Bolloré's detention was confirmed by a judicial source. Bolloré Group (BOIVF) said in a statement that it was under investigation over payments for communication services that were made in Guinea and Togo in 2009 and 2010. It declined to comment on the fate of its chairman. It denied wrongdoing, saying its subsidiaries "did not engage in any illegal actions and the Bolloré Group reaffirms that these communication services were conducted in full transparency." "Bolloré Group executives welcome this opportunity to fully cooperate with the judicial authorities to restore the truth about those facts," it added. A lawyer for Bolloré told Reuters on Tuesday that the billionaire was being investigated over suspected corruption of foreign public officials and suspected complicity in corruption. The lawyer denied any wrongdoing by Bolloré. Shares in Bolloré Group dropped 6% in Paris. Vincent Bolloré's personal fortune is worth $6.6 billion, according to Bloomberg. Bolloré Group owns a 21% stake in Vivendi (VIVEF), and is the French media giant's largest shareholder. Vivendi announced on Thursday that Bolloré would resign as chairman of its supervisory board, and be replaced by his son Yannick Bolloré. Vivendi shares dropped 1% in Paris on Tuesday. -- Charles Capel contributed reporting.